If you are doing SEO for your site, whether a blog or a e-commerce site you need to monitor your keyword regularly. Keeping track of your keyword will help you in checking how is your site performing. 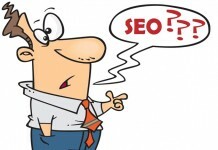 If you are still unclear about SEO, read our article What is SEO? Before going in detail with the free tool to check your search engine ranking. I would suggest you to read the article on “On-page SEO practice a blogger should adopt” that article will explain in detail about all ranking factors the a blogger usually practices. There are plenty of keyword rank checker tools available on internet but unfortunately most of them are paid like semrush and ahref. Buying tools like these are not affordable for most of the new bloggers. They need some tool that can monitor their keyword for them for free. Although these tools give a short period of free trial but that still do not solve the problem for your keyword position checking, because you will be at the same place looking for a free keyword rank checker tool once the trial period ends. Few of the tools do offer guest account or free accounts, but there are lot of limitations are you can not track all your keywords. 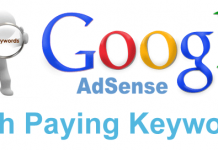 Keeping track of your keyword with free tools are hectic, since they do not save your position for future comparison. 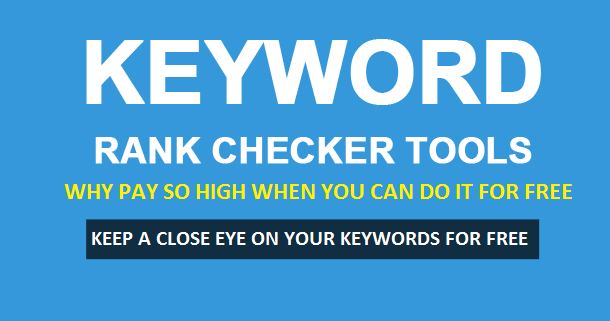 There are few sites that offer keyword position checker tool but again there are some limitations, such as they do not all you to create a project and keep track of all your keywords. IF the tool is free, either it wont save and compare your keyword position or they do allow only a small limit of keywords to be monitored. There is nothing as free food, you need to work harder in order to compete in blogging field or any other website. Read our article on “Blogging: is it that easy to make money? We faced the same problem and until we bought a Semrush and Ahrefs. We used SERPLAP, it is a free tool and we personally love it. SERPLAP keeps track of your keywords, it provide data for the best position of your keyword since keyword rank checker project is started and the latest position and also the first keyword position when the project started. All done! now just relax and wait for results, it will display results as per the frequency you have customized for. Well the wait is now finally over, the recent update of google analytic is bit shocking for the SEO tools providers. The main difference between the paid tools and free tools was, in paid tools you can actually see which keyword is bringing you traffic and what is the position of that keyword. Unfortunately in free keyword position checking tools you might not have this leverage. In Free tools you have to add keywords manually to check their ranking. Well as i mentioned, the wait is finally over. Google analytic has finally released a beta version of this tool. In your Google analytic account you can see this. In Google Analytic look in your left side column, under Acquisition you will see a new tool “Search Console”. This new tool is great. At least i love it. Now bloggers who can not afford services like Semrush or Ahrefs can actually monitor their google ranking and plan their word accordingly. Most importantly Queries, the Keywords that are bringing you that organic traffic. In Queries you can see the keyword that is driving this organic traffic, Its position in google, CTR (Click through rate), Number of clicks that a particular keyword had and the impressions on those keywords. Generally for a new blogger this is the maximum information they want, so in spite of paying for high costing SEO tools, its better to use these free tools and keep your business going. Once you have reached that certain amount of success then you can pay to those SEO tools for the free extra tools they might offer. Do share your feedback about these tools. Your experience will help me understand things better and also the readers. How To Select a Niche For Blogging?